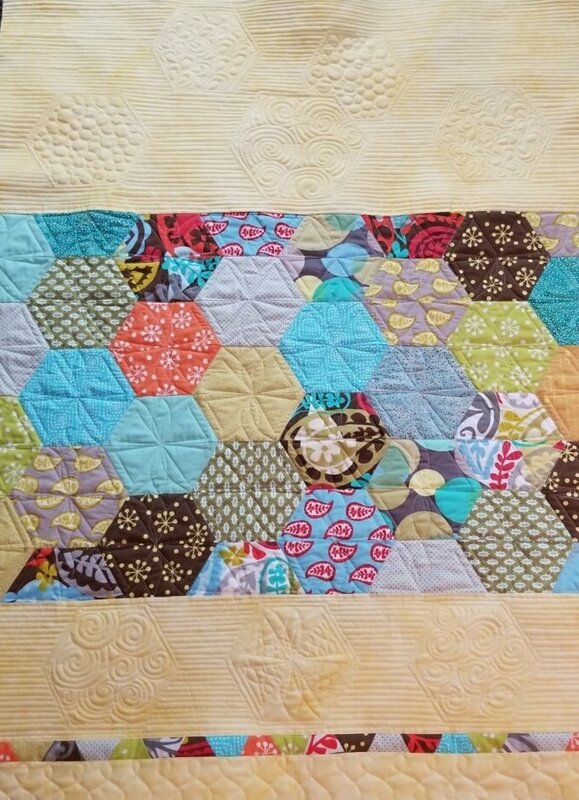 The hexagons in this pattern are all 1/2 hexagons, so it’s best to use fabric that doesn’t have to be “matched up” or that can be easily matched when sewing the two halves together. rotary cutter, quilting ruler (6"x 12” or larger), we have cutting mats in the classroom. Optional Baby size quilt… see pattern for fabric requirements.